3360 Series Anti Static Casters are specifically designed to be electro conductive. There are four sizes of anti static casters to choose from, and each black rubber wheel is electro conductive to prevent the build up of static electricity. These casters are ideal in clean room environments, off shore platforms, oil and gas installations and in hospitals. 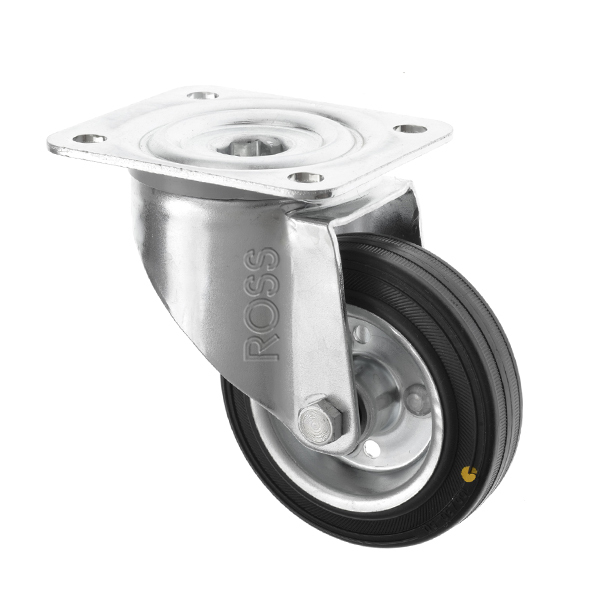 Anti static casters are available either as a swivel caster, fixed castor or a braked caster.